Neck pain and dizziness are often linked in expression and causation and might indicate particular varieties of nerve compression in the cervical region of the spine. Dizziness is always a frightening symptom which can make a normal life difficult for as long as it persists. Dizziness can also prevent patients from attending to common responsibilities, such as work, caring for family, driving or even standing up on hard surfaces. Dizziness is often diagnosed as vertigo. 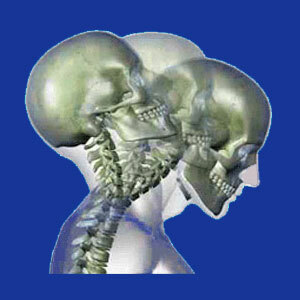 We have already covered the subject of neck pain and vertigo in a previous essay. However, due to popular demand, we are expanding our coverage of the topic in this discussion in order to provide a deeper understanding of how the conditions might be related and how they can be resolved successfully and safely. This dialog investigates dizziness and neck pain conditions that exist concurrently or in alternating fashion. We will explore some interesting facts about dizziness that every affected patient should surely know. Ear infections are the most logical source of symptoms in most patients. The ear is a location that often becomes infected directly or through the sinuses. Ear infections can become quite severe and might create the ideal circumstances for neck pain and dizziness to exist simultaneously, particularly upon movement of the head or when lying down with the affected ear facing directly upwards or downwards. Cysts and tumors inside the ear can create dizziness and might be painful in some patients. Most often, pain will be felt inside the ear, but in deep cases, might feel as if it were originating behind the ear in the dorsal, side neck anatomy. Fluid accumulation in the ear is unlikely to cause neck pain, but is a common cause of vertigo and dizziness. 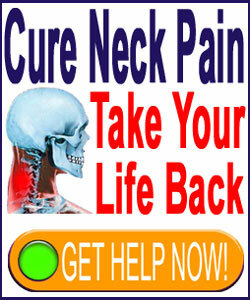 When neck pain exists, as well, it usually has an independent muscular, ischemic or spinal causation. Nerve compression can definitely cause neck pain, but in select circumstances can also influence tissues that might incite dizziness. Typically, dizziness which is related to neurological compression is theorized to exist due to upper level cervical spinal pathologies, including atlas subluxations, herniated discs, atypical spinal curvatures of the C-spine and other types of pathology. In spinal nerve compression scenarios, symptoms are usually produced during movement of the neck, with rotation being the most commonly cited causative trigger. Dizziness and neck pain can result from both spinal nerve root compression and spinal cord compression. However, the combination of symptoms is rare and often enigmatic to most healthcare practitioners. It is also possible that a nerve can be compressed outside of the spinal anatomy, usually by a muscular structure, although cysts and tumors can also be the culprits in rare circumstances. Muscular nerve compression syndromes often involve the trapezius muscles, as these attach from the thoracolumbar juncture to the occipital bone at the base of the skull and can affect many types of high anatomical neurological tissues. Ischemia is a less often diagnosed, but incredibly common source of both dizziness and neck pain, usually of a chronic or recurrent episodic variety. Oxygen deprivation can affect nerve tissues in the exact same manner as structural compression, causing them to fall into dysfunction and encouraging pain, tingling, numbness and weakness that mimic actual impingement exactly. Ischemia can also target structures the inner ear, producing dizziness, as well as neck pain in a regionally affected area of the dorsal anatomy. Virtually all cases of ischemia that we observe are motivated by mindbody factors and should always be treated using appropriate therapies. Physical treatments will often perpetuate such conditions and will certainly demonstrate no actual efficacy for them. However, knowledge therapy practices can route out the underlying reasons for such painful syndromes to exist and make them unnecessarily, curing pain in the process. We are proud to offer the very best knowledge therapy techniques as part of our acclaimed pain relief program for patients who need help right now, 24 hour a day.